NEWPORT NEWS, Va. (Jan. 30, 2015) -- Huntington Ingalls Industries (NYSE:HII) announced today that it has acquired the Engineering Solutions Division of The Columbia Group, a leading designer and builder of unmanned underwater vehicles for domestic and international customers. The value of the transaction is not being disclosed. As a previous stand-alone division within The Columbia Group, ESD is headquartered in Panama City Beach, Fla., and employs about 30 engineers, analysts, craftsmen and technicians. 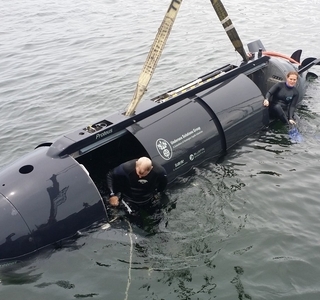 While ESD’s primary customer is the U.S. Navy, the company develops and builds specialized manned and unmanned undersea vehicles for military customers around the world. 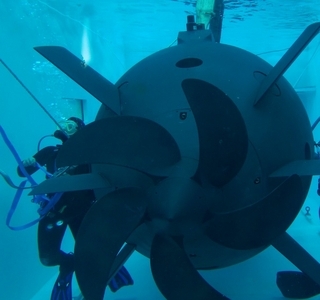 It has built or converted specialized craft for a variety of purposes, including support of submersibles and submarines, special warfare, testing of mine warfare systems, torpedo countermeasures and more. ESD will operate as Undersea Solutions Group, a subsidiary of HII, and will report to Newport News Shipbuilding’s Submarine and Fleet Support division. Huntington Ingalls Industries is America’s largest military shipbuilding company and a provider of manufacturing, engineering and management services to the commercial and non-commercial oil, gas and energy markets. For more than a century, HII’s Newport News and Ingalls shipbuilding divisions in Virginia and Mississippi have built more ships in more ship classes than any other U.S. naval shipbuilder. 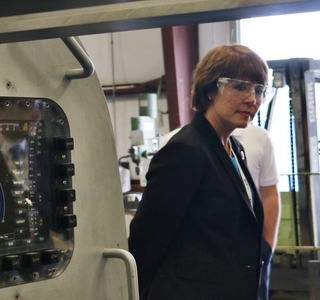 Headquartered in Newport News, Va., HII employs approximately 38,000 people operating both domestically and internationally. For more information, please visit www.huntingtoningalls.com.